After thirteen years in Spain, Hassan cannot find work anymore and decides to approach his journey back home. He invests all of his savings in a second-hand tractor to earn himself a living in his home country and drives all the way down to Morocco. When Hassan got to Spain, he didn’t have anything - now he returns with his only possession: EL RAYO. 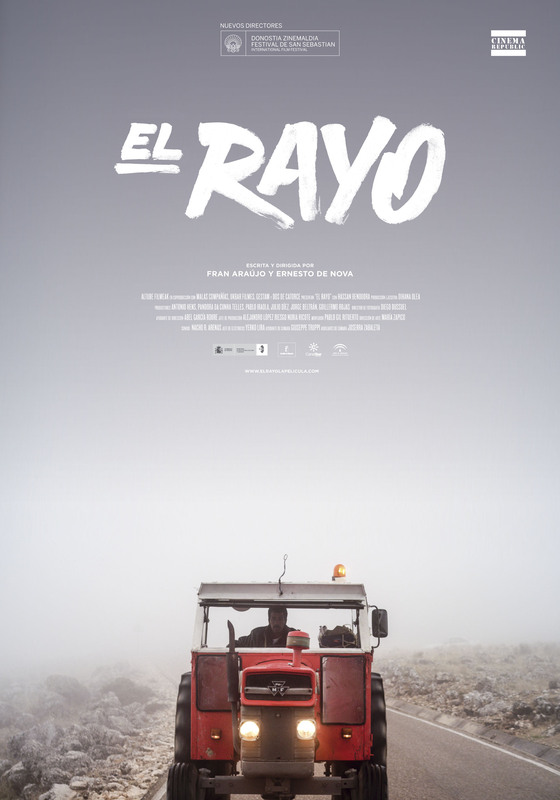 Born in Vigo in 1980, “El Rayo” is his first movie as director of the film. His career started as scriptwriter at a TV series called “Periodistas”. Since then he has written and directed various documentaries (Marineros en la Tierra, Proteger bajo el Fuego, El Desafío de Garamba) and short films (5 días de septiembre, Quid pro Quo, Una segunda posguerra), prize winners at festivals like ALCINE, Medina del Campo or Almería en corto. Currently Fran Araújo is working on three film projects for Tele5 Cinema and gives lessons at the Factoría del Guión. From the city of Elche, born in 1980, he started studying medicine which he gave up after two years to study Audio Visual Communication. “El Rayo” is his first film and fist incursion into directing a film. He has worked in television in different positions as production, editing or direction (Amar en tiempos revueltos, Igual-es, Euskadi Comantxe…) as well as in advertising spots (such as Nike, El Corte Inglés, Coca Cola…) with editing being the part he developed most. His passion is the world of documentaries and cinema, where he had the opportunity to participate in different projects (“En la linea azul”, “El canto del loco. La pelicula”, “Orgullo. Duo kie”…). He is currently working in a fiction TV series and at the same time developing a new cinematic project.